When it comes to designing a new landscape or renovating your yard, it can be hard to imagine just how the changes will look. If you’re working with digital software, you can easily create just the right yard that suits your vision, without the cost of hiring a professional designer who doesn’t have your unique vision. 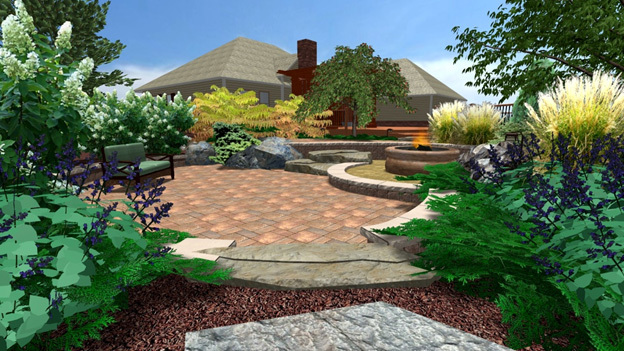 3D U-vision Design will give you the tools you need to create 3D designs for your landscaping project, all without the hassle of making expensive changes to an existing backyard. From water features to playgrounds, you have plenty of components to choose from with 3D U-Vision Design. 3D backyard plans have all the realism of an actual landscape, so you don’t have to make many guesses. What you see is what you get, so you can play around with the software until you have something to take to your landscapers. 3D U-Vision provides an easy way to make creative changes in the design process without spending a ton of money. What’s best is that, with all the 3D models, objects, and walls, you can wind up with a yard unlike any other. Use your own ideas to create something worthwhile and creative. Don’t worry if technology isn’t your strong suit. 3D U-Vision software is incredibly easy to use in the hands of new users with a little effort. When it comes designing a garden or backyard with your imagination, you can use the software’s prebuilt tools to create new swimming pool layouts and even import elements from Google Sketchup. Let your imagination run wild with decorative fencing, outdoor furniture and plants. 3D U-Vision has plenty of features that will help you plan exactly the kind of backyard you want. With customization and a wide variety of objects to choose from, you’ll find it easier than ever to imagine your backyard the way you want it. From water features to pools, this software has everything you need. Its pool building wizard offers a selection of prebuilt pools as well as the means to create your own swimming pool. Once you’ve finished designing exactly the kind of backyard you’d like, you can easily export a 2D layout for construction to bring your dreams to reality. From technical drawings to design and composition, it often seems like there’s no easy way to create the dream backyard. However, 3D U-Vision Design can help you turn your vision into reality. Using digital objects with realistic textures, you can assemble everything just how you like it. What this software ultimately offers is ability to customize and dream up the perfect yard, all with a 2D blueprint for straightforward construction.